Hi friends! I was overwhelemed by your positive response to last weeks blog post. You all LOVE seeing what I eat for lunch everyday. I received calls and emails, messages on my social media and an outpouring of love in general regarding Supersized Salads. If you weren’t able to read it yet, I encourage you to check it out here. Because you loved that post so much, today I’m back and sharing more meal ideas. This time surrounding breakfast, the most important meal of the day. I’m sure you’ve heard that phrase since you were a little kid and your parents were begging you to finish your eggs and oatmeal before having to rush out the door for school. “You won’t be able to concentrate if you don’t eat a good breakfast,” they would say. So, were they right? Is breakfast really the most important meal of the day? Clinically speaking here’s why that phrase was coined…. Skipping your morning meal can throw your body’s rhythm of fasting and eating. When you wake up, the blood sugar that your body needs to make your muscles and your brain work their best is usually low. The right breakfast helps replenish it. Breakfast also kick-starts your metabolism, helping you burn calories throughout the day. It also gives you the energy you need to accomplish things and focus. If you’re body doesn’t get the fuel from food that it needs in the morning, you may feel drained of energy and more likely to binge eat more later in the day. 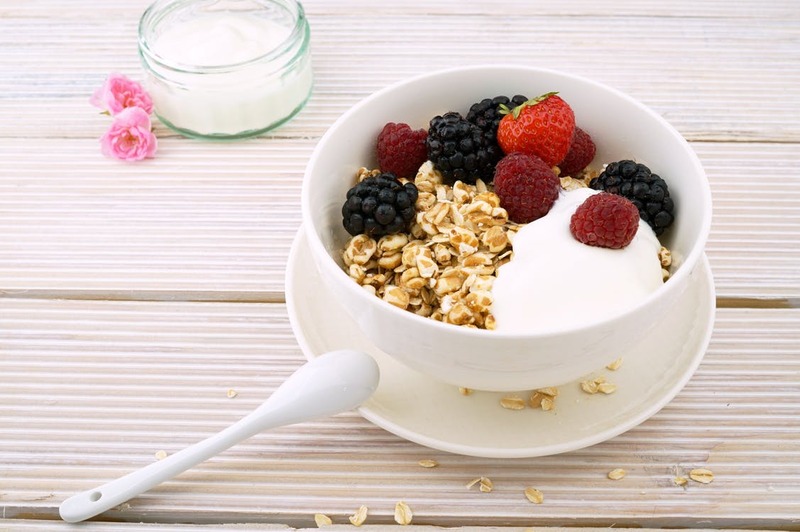 If you provide your body with a healthy breakfast, it also gives you the chance to get in some crucial food groups that you may not eat for the rest of the day like dairy, fruit and whole grains. With all that said, if you are someone that simply can’t stomach breakfast early in the morning (several of my clients feel this way and at times I do it too), it’s OK. Wait until your appetite opens up and eat your healthy breakfast then. All the breakfast ideas I’m sharing with you today can be portable and just as easily enjoyed at 10 am as they are at 7am. Today, I’m sharing some healthy breakfast ideas with you. All of them are fast, easy, delicious and healthy! 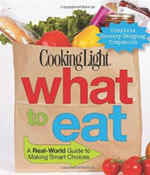 I rotate between each of these every day for a well-balanced meal! 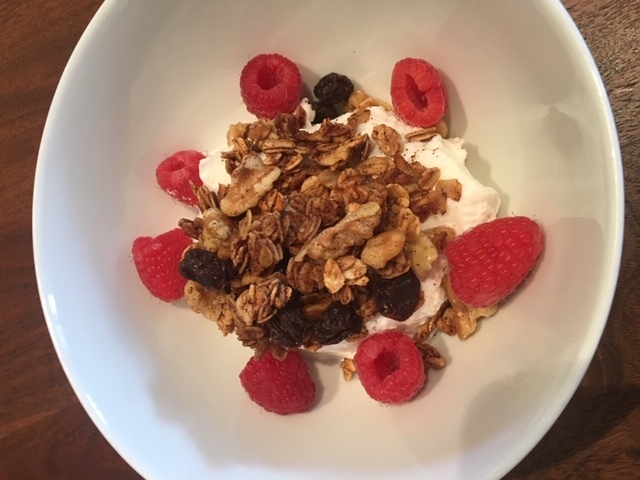 One of my favorite breakfasts of all time is my easy homemade granola served with fresh fruit and yogurt. I make a big batch of this every two or three weeks. It stores perfectly in an airtight container which makes healthy breakfasts easy and fast! Jonathan loves adding my granola to his cereal every single morning and the rest of us take it on the go and snack on it all day long. 1 cup of chopped walnuts-you can also use pumpkin seeds or sunflower seeds raw or roasted. 2 teaspoons of cinnamon (my family likes a lot of cinnamon, if you don’t, only use 1 teaspoon). 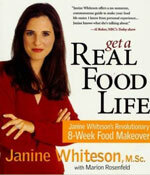 ½ cup of organic raisins (or other dried fruits of your liking such as figs, cranberries, apricots). Line a large baking tray with parchment paper. Preheat oven to 350. Add all ingredients (except the nuts/seeds and raisins) in a large mixing bowl – mix well. 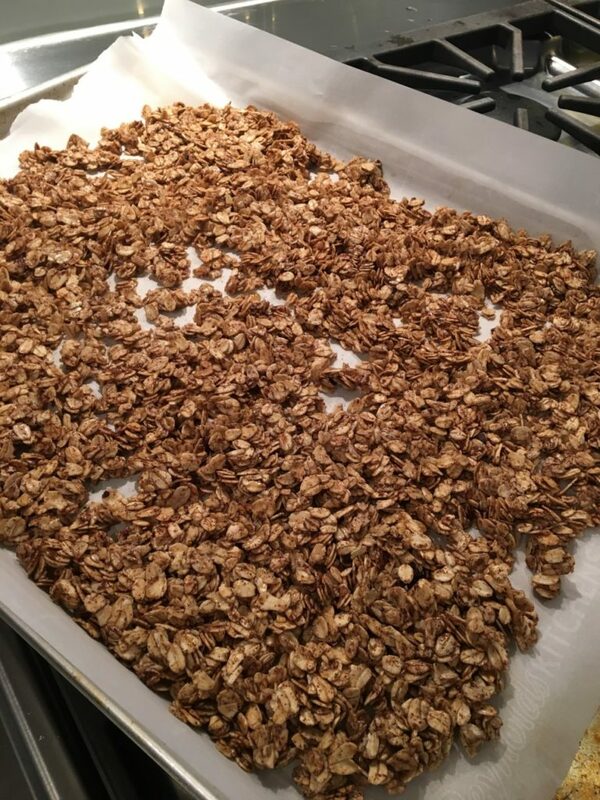 Place oat mixture on baking tray – press down to make an even layer. Bake for about 30 minutes – be careful not to over brown the oats (I have done that many times). Let cool for about an hour. Break up the granola the way you like. Store in air tight container or zip lock bag. 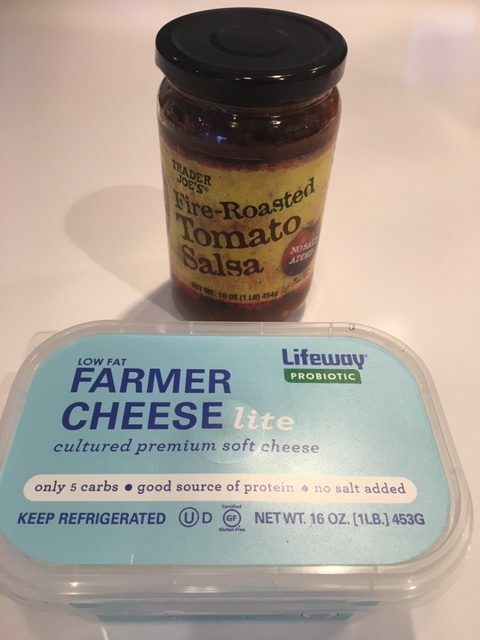 Another healthy breakfast that is on high rotation in our house involves my beloved GG crackers, Lifeway Brand low-fat lite farmers cheese and salsa. I really like the Trader Joe’s salsa pictured above but any salsa will do. I’ve talked about GG crackers on the blog before but incase you missed it, GG crackers are Scandinavian healthy crackers that provide an incredible about of fiber (and crunch) to your meal. If you can’t find them locally, amazon sells there here. 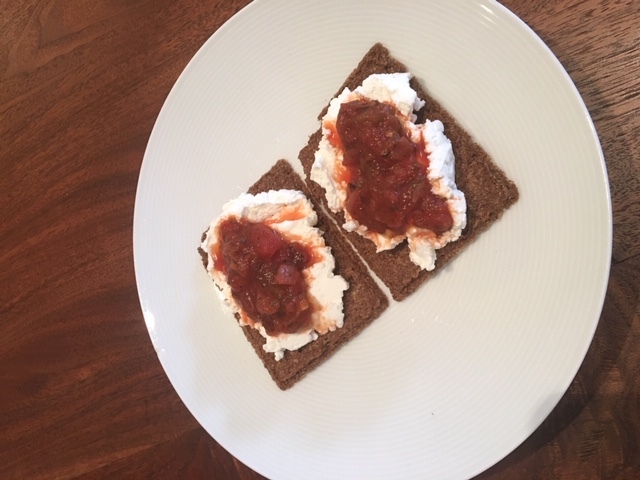 I simply spread the Lifeway farmers cheese and some salsa on two GG crackers in the morning for an excellent combination of fiber and protein. This breakfast keeps me full for an extended period of time, has great flavor, is low in salt and calories and is SO quick and easy to make! The last breakfast idea I’m going to share with you today are my excellent egg bites! They may be my all-time favorite homemade breakfast meal for lots of reasons. First, these egg bites are healthy and totally delicious. I promise you that they taste like you’ve just ordered them off the menu at your favorite brunch spot. They are filling and satisfying and they are SO incredibly easy to make. An added bonus is that they are easy to make in large quantities for lots of breakfast guests (or your own hungry family members). Sometimes, I make really large quantities of our favorite breakfast and store them in the refrigerator or freezer for fuss-free busy mornings. When stored in an air tight container, my egg bites can last 5-7 days in the fridge and about 3 months in the freezer. To reheat, I simply pop them in the microwave for around 30 seconds and WA-LA, before school/work breakfast is served! 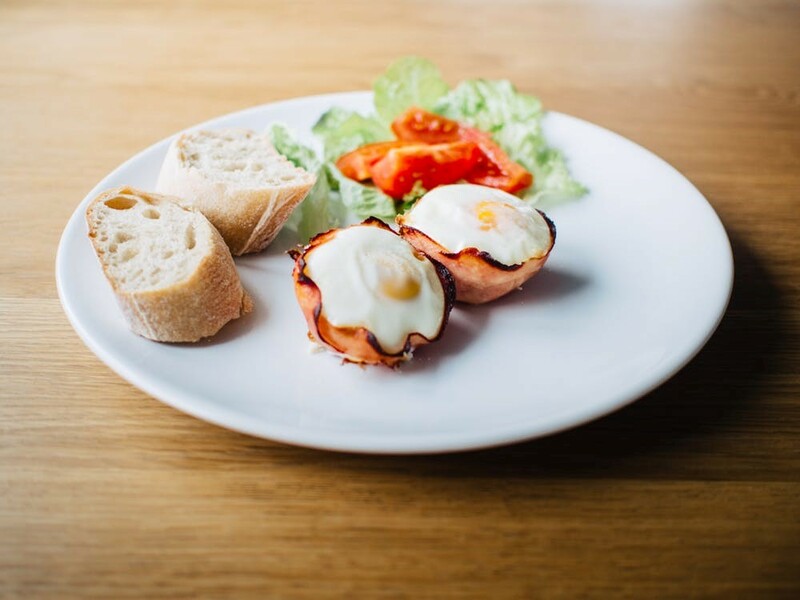 A great source of protein (around 10 grams per bite), a healthy source of fat and low on calories, my egg bites are and “egg-cellent” choice for a healthy breakfast! 12 Eggs (I like to make at least 12 egg bites at a time but you can use however many you like to feed your breakfast crew). Around 6 slices of low-sodium deli turkey or low sodium deli ham. 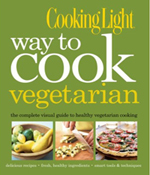 Optional Additional Ingredients: Chopped red peppers, chopped spinach. Chives for garnish. Fill each cup with a slice of your low-sodium deli meat. You may have to cut your deli meat to fit properly. Make sure the bottom and the sides of the muffin cup are lined with your deli meat. At this point, I like to mix it up a bit depending on what I am in the mood for. Sprinkle in each cup, on top of your deli meat, chopped red pepper, chopped spinach, or any other healthy vegetables you have on hand. This will take the nutritional value of these egg bites up a notch. Carefully crack one egg into each muffin tin. Season with a tiny bit of salt and pepper. Sprinkle a very small amount of your favorite shredded cheese on top. 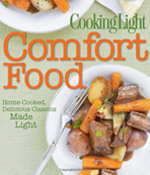 Place in the oven and cook 10 minutes for very runny eggs and 15 minutes for more well done eggs. Optional: Top with fresh chives.